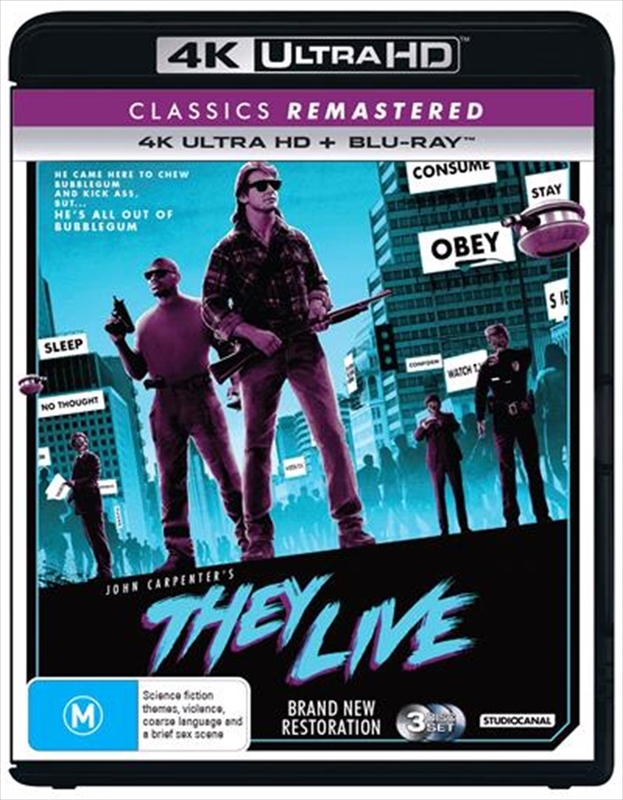 From director John Carpenter comes the story of John Nada, a homeless, unemployed construction worker, discovers a pair of sunglasses that, when worn, suddenly reveal a world run by aliens. These upwardly mobile, capitalist, yuppie aliens are intent on keeping the human race sedate and brainwashed with subliminal messages fed through advertising and the media. When he discovers who they really are, it sparks a relentless battle to expose them to the world.